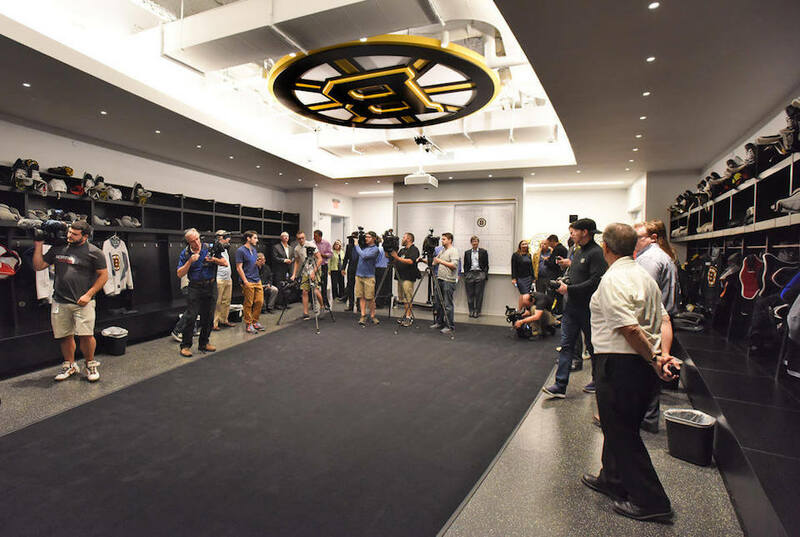 The Boston Bruin’s held their end-of-season media day on May 9 after losing in the second round of the Stanley Cup Playoffs to the Tampa Bay Lightning. Despite winning Game 1, the Bruin’s went on to lose the series 4-1. Players including Torey Krug, Zdeno Chara, and Jake DeBrusk made themselves available to the media in addition to head coach Bruce Cassidy. Cassidy spoke about the Bruins’ improvement from last year’s first-round playoff exit in which they lost to the Ottawa Senators. The second-year head coach touched on his team’s devotion to the core of young players that it has developed. Cassidy also discussed the Bruins’ near collapse against the Toronto Maple Leafs in the first round and its effect on the Bruins’ second-round exit. Had the Bruin’s beat the Tampa Bay Lightning in the second round, they would have gone on to play the Washington Capitals. Players were also given the chance to disclose any injuries at Break-up Day. Torey Krug and Noel Acciari were among the players who revealed injuries they suffered throughout the year. In Game 4, Torey Krug suffered a fractured ankle after a collision along the boards. While Krug is in a walking boot, it has been reported through the Bruin’s website that the injury will not require surgery. Acciari, on the other hand, will be undergoing surgery for a sports hernia that he suffered from since November. Among other players who reported injuries on the Bruins’ final media day of the season were David Backes, Jake DeBrusk, and Brad Marchand. The 2018 NHL Draft will take place June 22-23.